St. Peter’s is a thriving urban parish whose members nourish one another in lives of faith, share the love of Christ, and serve the people of this neighborhood and city. St. Peter’s Episcopal Church has been praising God since 1761-and we are still at it! A theologically progressive, Christian church, St. Peter’s is a safe place to explore or deepen your faith, a joyful place to worship, and a lively place to connect with others. Together, we raise our voice for justice, diversity, and love for all of God’s children and our planet. 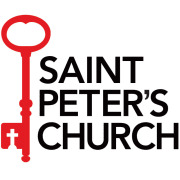 We invite you to learn more about St. Peter’s and join us for a service on Sunday. There is a place for you here. Would you recommend St. Peter's Church?